Tweet The super group Flying Colors featuring Mike Portnoy (The Winery Dogs), Steve Morse (Deep Purple, Dixie Dregs), Neal Morse (Spock’s Beard), Dave LaRue (Dixie Dregs) and Casey McPherson (Alpha Rev) are back with the follow up to their critically acclaimed debut album. The album is called “Second Nature.” The first Flying Colors album was my favorite album of 2012, far and away. “Second Nature” picks up right where their debut left off. 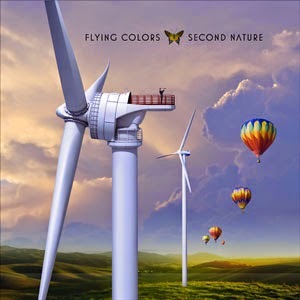 Flying Color’s “Second Nature” is the type of album that will change your musical mood and ultimately shape your musical tastes. When I got “Second Nature” I was going through a straight forward hard rock/punk/metal phase, just real turn your brain off music that was more about attitude than it was anything else. I’d be lying if I said I fell in love with “Second Nature” after the first listen. Truth is my brain was still off during my first time through. However that second listen was magical as was each listen that followed. The twelve minute first track “Open Your Eyes” is so amazing. That song builds and builds and gets better with each second that passes by. It doesn’t feel like a 12 and a half minute song. it's like a three hour Christopher Nolan movie that feels like 90 minutes. It takes you on a musical journey that is completely satisfying. The next eight songs are between 5 and 7 minutes give or take 15 seconds. Maybe I’m just out of touch but I don’t understand why Flying Colors with songs like these aren’t playing arenas. It’s like progressive pop music with a rock edge. No disrespect to the band Coldplay but I don’t get why Flying Colors couldn’t be as big as them. Their songs are equally as catchy. Casey’s melodies are easily accessible unlike most Prog Rock (I hate labeling Flying Colors Prog Rock because they aren’t limited to one style at all) but there is this musical depth that Flying Colors possess that not many other bands can match. I love “Second Nature” a little bit more with each listen. At this moment in time my favorite song on the album is whatever I’m listening to when you ask me. Currently I’ve got “Bombs Away” blaring in my head phones. That song reminds me of Pink Floyd’s “Have a Cigar” but heavier and maybe with a little bit of Yes influence (I’m not smart enough to break these songs down). The only thing i don’t like about the album is that its so good and the band is more or less a side project for everybody in it therefore we’re lucky if we get to see them live. I didn’t think “Second Nature” could live up to “Flying Colors” (self titled debut album). I got to digest that album over the last two years and it’s a masterpiece. I’ve been through “Second Nature” ten times and all I can say is that it stands on its own and is on pace to be another classic, at least in my eyes. Steve Morse (I could address this towards anybody in the band), I know Deep Purple pays the bills, but Flying Colors is an amazing band that deserves to be heard by everybody. 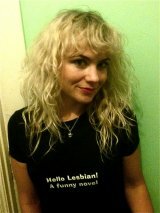 If you ever decide to make this a full time band I promise to do my part in spreading the word. The album is out now, you owe it to yourself to check it out. I enjoyed the first Flying Colors record enough to buy "Second Nature", and after a couple of listens, I think I enjoy "Second Nature" more than the debut album.Really sounds like a band as opposed to a project. Great sounds, drums, keys, voices. It's all there. Great stuff.Would love to see it live.